Just like a parent always worrying about how to grow their children best until adulthood, the plants needs your caring to bring the best yields. And nutrients are the answer for both. Nutrient solution to Hydroponic is just like fertilizers to soil. Essentially, a Hydroponic nutrient solution is a liquid filled with all of the necessary nutrients so that plant roots can come into contact for its growth. Compared to soil, Hydroponic makes it easier to measure and fill the exact amounts of nutrients in the water solutions. Is there any set formula for these nutrient formulas? No is the answer since each plant requires different nutrients. Also, this relies on a lot of other factors like growth phases, weathers, and so on. And different formulas have been developed for hydroponics. Most of the time, major nutrients for plants are the same. Just the percentage of them is different. That's the purpose of my post - to let you know what nutrients plants need so that you can get the appropriate nutrient solutions for your plants. I will also give you some necessary knowledge about hydroponic nutrients so that you can make a nutrient solution yourself. For survival, plants need to respire, get moisture and photosynthesize. And they are in the form of Oxygen, Carbon, Hydrogen, and Nitrogen. O, C, H, and N are all readily available in the air, water. And plants have the ability to get these elements from the environment. Meanwhile, lights supply plants with energy to make food. And before providing plants with necessary nutrients, you must take care of these organic composts first. Without them, plants are bound to die. Meanwhile, without nutrients, plants can still live but will not develop properly. These are nutrients that plants need to absorb in large quantities. They are the most vital nutrient minerals you must take care of first. The vegetative growth of plants - leaves, stems and their colors. Formation of Chlorophyll, amino acids, co-enzymes, and proteins used in new cell walls. People usually use much of Nitrogen for the growth periods of plants before they start bearing fruits or flowering. Because plants need nitrogen so quickly at some periods, nitrogen is used as part of the supplementary materials - fertilizers in soil, and nutrient solutions in hydroponics. Plants that lack nitrogen show symptoms with their yellow leaves. Older and lower leaves will have the effects first, and drop off fast. When plants have an excess of nitrogen, the symptoms are harder to recognize. Your plants may look green and vibrant, but their ability to bear fruits and flower are greatly decreased. That is because plants are spending all of its energy producing foliage. Your plants will require a large amount of phosphorus at the early phase of seedling, germination and flowering stage, but it's also necessary during the whole plants' life cycle. Plants deficient of phosphorus show indication of shorter plant growth - abnormal weak leaves, flowers, and roots. Meanwhile, the excessive of phosphorus affect the plants by preventing it from absorbing other elements like calcium, copper, iron, magnesium and zinc. So the deficiencies of these elements can be seen. Another indispensable plant nutrient that is required in a large adequate amount for the effective development and reproduction of plants. Plants that are in need of potassium usually show yellow leaves first. When in high of potassium, like phosphorus, plants will be unable to interact with other nutrients such as zinc, iron, magnesium. Necessary to cell formation and development. Too little of calcium, leaf tips, and edges will turn brown and can die. Too much calcium at the younger phase can stunt plant growth. A structural component of two of the 21 amino acid that creates protein. Also, helps activate and form certain enzymes and vitamins. One of the chemical components of chlorophyll. Magnesium helps create the oxygen through photosynthesis and is often used in large amounts in fast-growing plants. 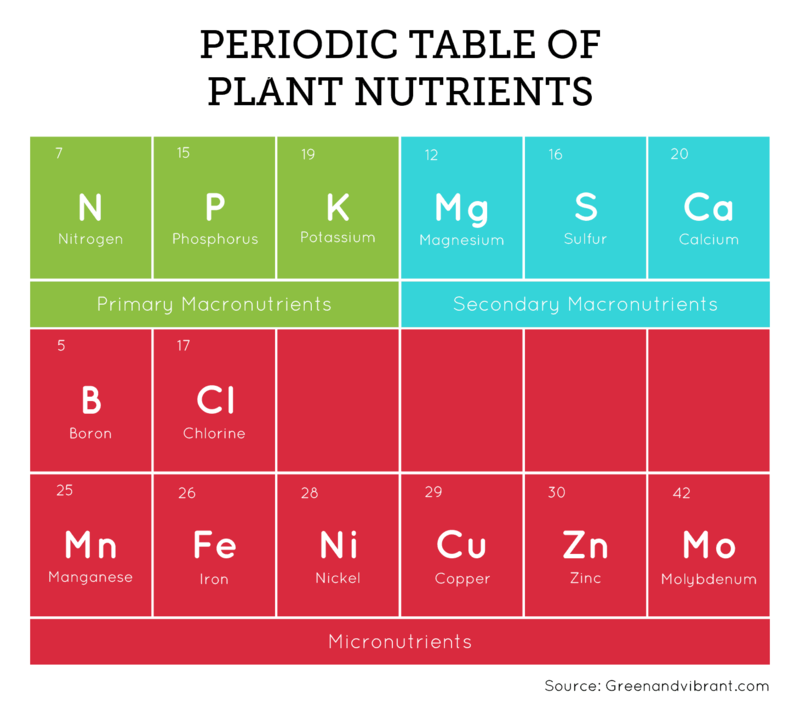 Among these, The three macronutrients (N, P, K) described above are the most crucial nutrients for plant's development. 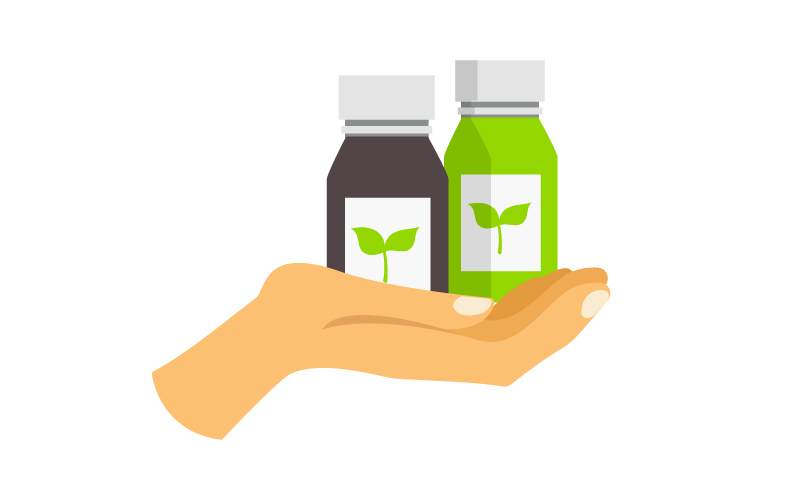 Micro Nutrients are still important in plant development, but they are required in smaller quantities. Zinc is very important in the formation of chlorophyll and other engines, and nitrogen metabolism. Boron is used with calcium in synthesizing the structure and functions of cell membranes. Also, help with pollination and seed production. A component of many enzymes associated with energy provision, nitrogen fixation. Help form chlorophyll, and is used in photosynthesis. Catalyze the growth process, and help form oxygen in photosynthesis. You can create your own nutrient mix, or get a Hydroponic nutrient package from the store. For beginners, I highly recommend you to buy it, saving the experimenting and mixing your own nutrients when you get a bit experiences. Normally, you will see listed in the ingredients and formula of the solutions sold at the store are 3 numbers in percentages. These are the 3 most important minerals that listed above - Nitrogen (N), Phosphorus (P), Potassium (K). For example, they come at the ratio 10-10-10, meaning that each the nutrient is composed of 10% of the solution. The rest of 70% is water, micro-nutrients, and other chelates that assist the nutritional process. Light intensity, weather, temperature, the season of the year. 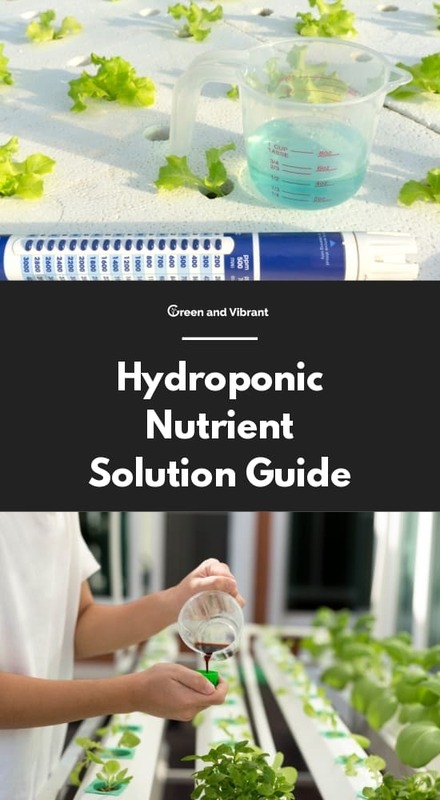 If you are to choose available solutions for your hydroponic garden, the one thing to keep in mind is that you should get the nutrient designed specifically for Hydroponics only. Forget all about the all-purpose package which can be used in both soil and hydroponics. Common fertilizers used in soil do not contain necessary micronutrients that Hydroponics plants require. Second, it is recommended to use the 2 or 3 parts solution in the liquid. Normally, a liquid solution is easier to work with than powder form because it easily digests in water, and most of the liquid solution comes with pH buffers. And you should buy the 3 part because it does help you later when you need to blend and mix in different combinations for the plant's growth purpose, and specific stage of growth. Below are simple steps to mix the 3 parts solutions, namely the 3 part solution by General Hydroponics. Check which stages of growth your plants are in order to mix the 3 parts with the correct ratio. Check the manufacturer instruction of your nutrient products. Start by adding fresh water to the reservoir. Next is the Grow part. This contains ammoniacal nitrogen, nitrate nitrogen, phosphate, potassium, and magnesium. Stir well. Add the Bloom Hydroponics solution. This contains phosphate, potassium, soluble magnesium and sulfur. Again, stir the solution. Don't forget to check the temperature of the solution. About 64 to 66 degrees Fahrenheit is ideal. I am a beginner, but your advice is very helpfull.